This is year 3 of our Lara’s Birthday weekend Lake’s event and this year it will be held at Coniston Water, Cumbria. Team Lara will swim from Riggs Wood Pier around Peel Island and back, and then run around the beautiful moorland overlooking the lake. We will be camping and partying afterwards in true Lara style. 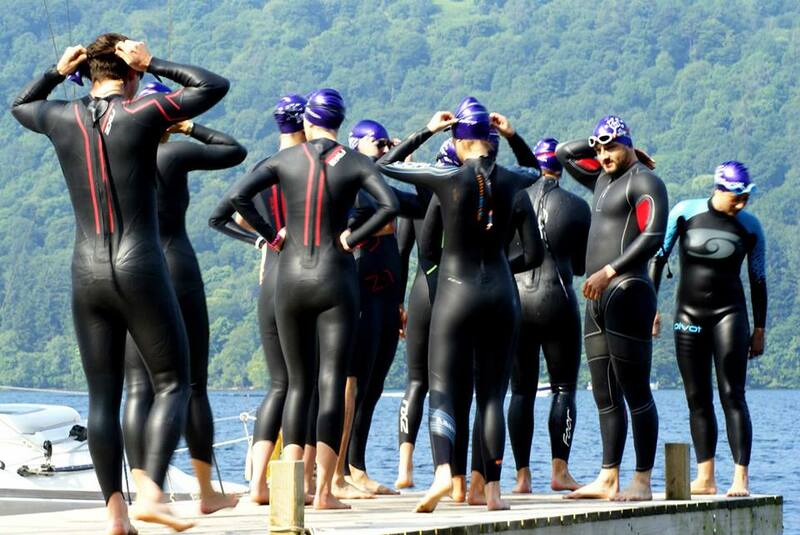 – The swim will start at 10.30am Riggs Wood Pier, Ulverston, Cumbria. Supporters should bring a picnic for the day time, and there will be a BBQ from 6.30pm with lots of lovely outdoor reared meat care of Bowland Pork Beef and Lamb. The BBQ costs £10 per person and should be pre-booked by donating £10 here. After the BBQ we will be camping – open fire, lots of prosecco and a keg of Coniston Bluebird ale! The cost to camp is £10 per tent. You can book your spot by donating £10 here. Don’t forget the marhsmallows! Directions and Parking: The campsite is opposite the pier. However there are no postcodes for either location. If you put the postcode LA12 8DF into your sat nav it will take you to the correct road. Then continue for a further 3miles until you see Lara’s Foundation signs. You can park at the campsite and walk down to the pier. Get sponsoring and watch this space! You can watch a video of Carolyn and Sue flinging themselves through the air HERE! So many of you have completed incredible challenges for Lara, I thought it was about time I did something too. So…..Sue Clunie and I are going to Zipwire at 500 feet above ground at 100mph ..what can possibly go wrong! We will have Go Pro cameras strapped to our helmets so we can see who wins the ‘who can scream loudest’ competition. The safe money is on me!